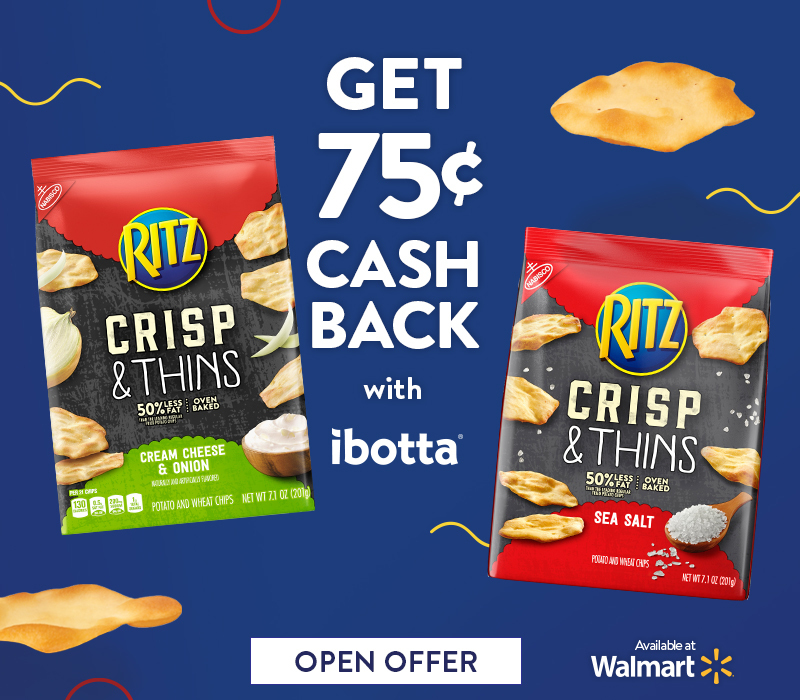 RITZ Crisp & Thins on Sale with Ibotta + WIN Walmart Gift Cards! We are doing something very different for the big game this year and I can’t wait! I was SO excited when RITZ Crisp & Thins showed up on Ibotta because these make an awesome finger food to set beside the soups and dips – they’re quick, easy to grab to snack on, they’re a healthier option, and even the littlest football fans can munch on them. These also make a great addition to the now super popular charcuterie boards! 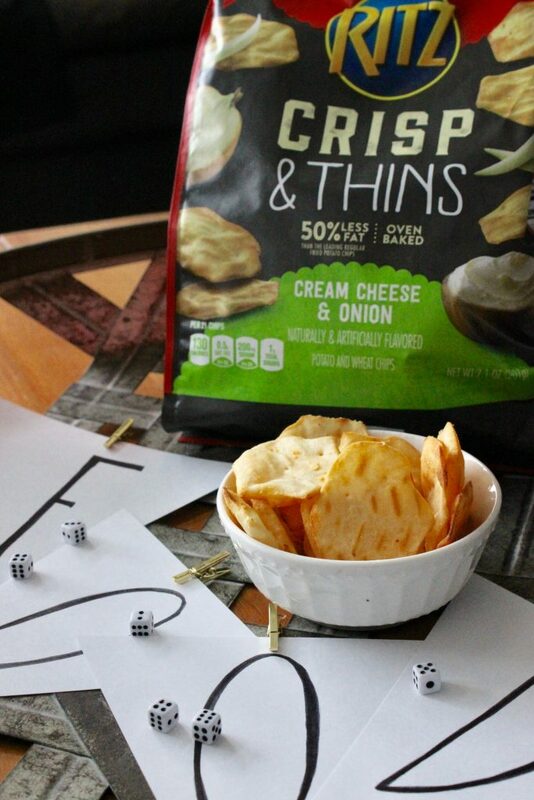 AND, when you scroll to the bottom of this post you can enter to win Walmart gift cards so you can buy all of the RITZ Crisp & Thins (and whatever else!) you’ll need to host your friends and family! 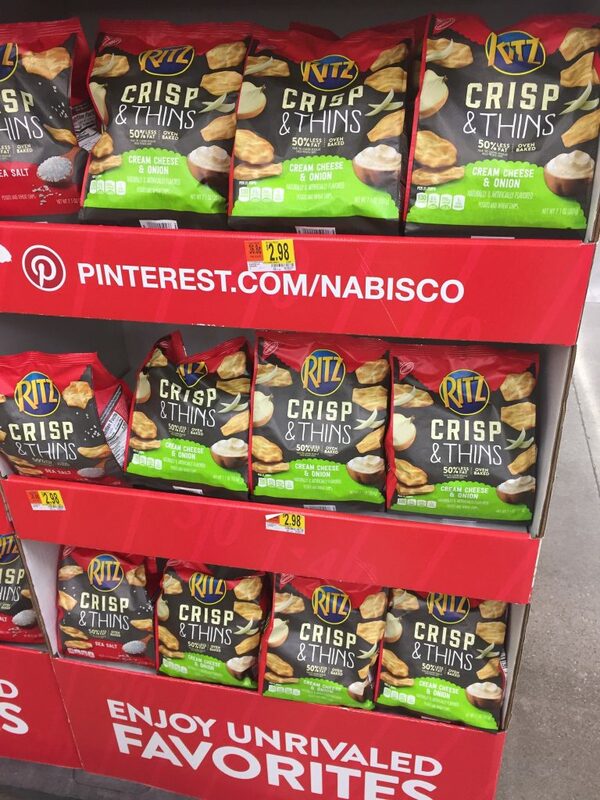 Head here to add the RITZ Crisp & Thins Ibotta offer to your account and look for this display in your local Walmart where they have several flavors available! Through February 3rd you can enter to win six (6) $50 Walmart gift cards & one (1) $200 Walmart gift card grand prize!